From American cars to diesel vehicles to European automobiles, Elite Automotive Repair believes in doing the right thing the first time. We go the extra mile to ensure that all your auto service needs are taken care of. Serving any car that comes into our shop, we are passionate about helping our customers and their cars. No matter how big or small of a problem we come across with your vehicle, you can trust that we know how to repair it the proper way, efficiently and effectively. We believe that by keeping you informed about your vehicle, we are able to perform the correct service, keeping you and your car on the road longer. We can handle all of the auto repairs listed below. You may be asking yourself, why should I get my tires aligned? No matter how well you take care of your car, bad road conditions may cause your alignment to be thrown out of balance. It does not take a lot for the alignment of your car to be altered; even the tiniest alignment problem can have a serious effect on your tire alignment and the wear that each tire experiences. You would never drive a car with tires that were pointing in the wrong direction, so why delay this very important type of car maintenance? Contact Elite for expert wheel alignment. Whether you have a flat tire or you need new ones, we are the experts to help decide what is right for your car. From taking nails out and patching any damage that you have, to checking the air pressure in each tire; it is our goal to make sure what you are driving with is safe. Not every tire is right for every car. We will help you choose what is perfect for you because we know why you should have new tires and what specific ones will do for your individual car. Whether you need a simple patch or are looking for tires for sale, contact Elite! It pays to know the basics about your brakes and when it is time to get new ones, as your brakes are one of the most important aspects towards the safety of your car. You never want to be caught with no way to stop. Brake inspections are always advised whether you think there is something wrong or not. Whether you need new brakes pads or more brake fluid we strive to give you the means to stay confident about your vehicle’s ability to stop, and your safety on the road at all times. Elite is here for any and all brake services. It has happened to all of us … you are driving and your check engine light suddenly comes on with no warning at all. This indicator light does not mean the end of the road for your beloved vehicle; a variety of different problems can cause engine trouble in your car and it is our goal to provide you with the proper diagnosis and solution to your problem. You can trust us to properly repair what is wrong and repair your vehicle, making it run safely and efficiently. You may blame your steering and suspension for the unbalanced alignment of your car, when in fact they are separate but equally important to the overall quality and performance of your car. Like many other functions, the suspension and steering of your car do affect the wear of your tires. 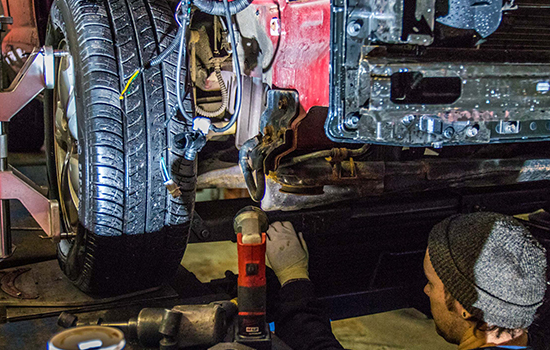 Your shocks and your struts are important to maintain; we recommend having our experts inspect your steering and suspension every 50,000 miles, or sooner if you hear or notice any changes while driving. Have smelly air that comes out of your car whenever you turn on the AC? Does your heat seem to sputter out right when you need it most? Much like a refrigerator, the heating unit in your car is designed to pull heat from the inside to the outside of your car. When one component to this system is not working properly, you are left with a problem. We can help you determine what is wrong with your car and repair what needs to be done so you are comfortable in your own vehicle at all times. Much like a refrigerator, the AC unit in your car is designed to chill and recirculate the air inside your vehicle. When one component to this system is not working properly, you are left with a problem. Whether you have a manual or automatic transmission, we can help you. We highly recommend regular transmission services to all makes and models. We believe that the quality of your driving experience matters. The transmission of your car is composed of many different smaller pieces that all work together to allow your car to optimally perform its best. Using state-of-the-art technology, we go above and beyond to inspect your transmission fully and perform the necessary services and repairs. Every car, big or small, utility or luxury, needs routine maintenance. Depending on your specific make and model, your vehicle may need maintenance more often than others. By staying up-to-date with routine services you are less likely to have major problems and frequent issues that cannot be solved. Preventative maintenance is a sure way to keep your car running longer and enables you to feel better about what you are driving, at all times. More necessary than ever before, diesel engines require special attention and training to repair. As the price of regular gasoline continues to rise, more and more people are choosing diesel vehicles over gas-powered vehicles, without knowing where they can take them to be fixed. 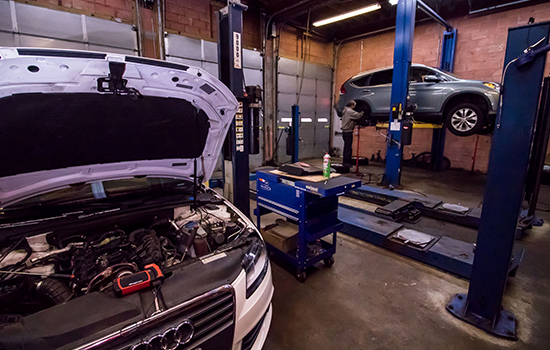 Unlike many other auto shops, we have the expertise required for your diesel car. We know what to look for and how to properly repair it, without ever compromising your engine. Many car problems can be diagnosed through a simple electrical test. Troubleshooting and solutions are more easily achieved when you know what exactly is wrong, and where the cause of the problem lies. Electrical diagnosis is beneficial for you and your car, giving us insight to all the functions within your car’s electrical systems. By measuring voltage, resistance, and currents we are able to accurately diagnose problems that may be hidden and effectively repair what needs to be done. Elite Automotive Repair is ready to deliver top-notch quality to your customers. When you need an honest auto shop that will take care of you and your car, contact us right here.